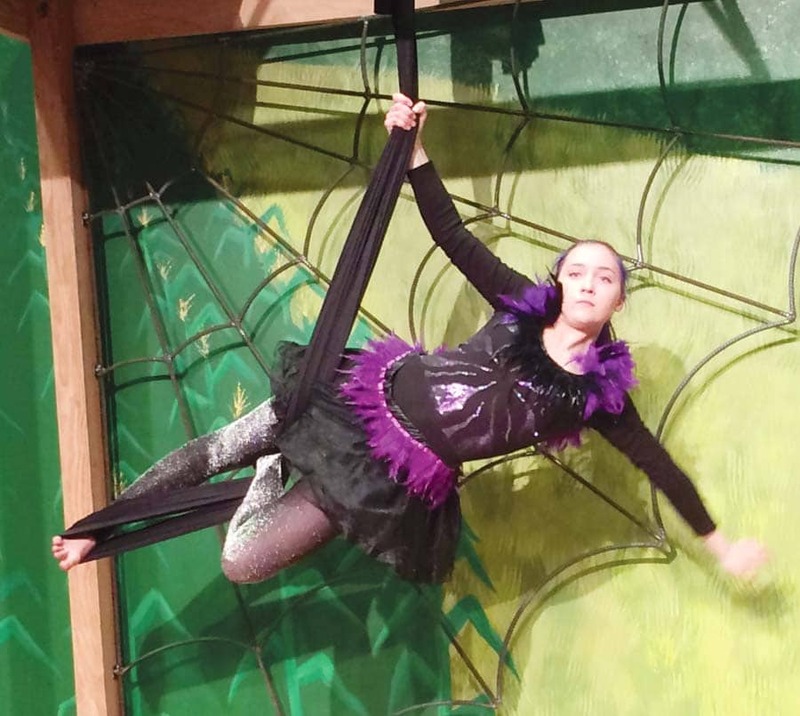 Lilian Overbeck plays Charlotte the spider in The Merc Playhouse production of “Charlotte’s Web,” which opens March 15. The metal web was created by students at Liberty Bell High School. There’s something about “Charlotte’s Web” that makes the story uniquely timeless. “It’s just so appropriate for children — and adults as well. It reminds us about friendship and taking care of each other,” said Jane Orme, who’s directing the beloved children’s classic at The Merc Playhouse starting next week. Twenty-two young local actors personify the menagerie of animals and people to tell the story of Wilbur, the young pig determined to avoid the butcher, and the animal and human friends who help him. There’s Fern, a girl who can understand the animals when they talk; Templeton, a rat given to occasional good deeds; and Charlotte, the spider who uses her talents — for spinning both webs and stories — to save her friend Wilbur. The characters include a family of farmers, geese, lambs and sheep, and a trio of narrators. The theatrical “Charlotte’s Web” is special because it’s based on the novel and incorporates the language from the book, said Orme, a veteran teacher of drama and English who’s directed plays both in the schools and at The Merc. Revisiting the show has inspired adults who read the book years ago. After reading the book as a child, Orme remembers asking her parents if she could have a pet pig. It’s also created new converts among kids who are reading the book in class for the first time. The two-week run includes two performances of scenes from the play for students from Methow Valley Elementary School. In addition to inventive costumes and painted faces that transform the young thespians into colorful animals and their human caretakers, The Merc’s production includes exhilarating movement. Missi Smith, The Merc’s executive director, choreographed several dance numbers that celebrate the connections between the people and animals on the farm. The production also includes an oversized metal spider web designed and built by Liberty Bell High School students. “I knew we couldn’t just have a spider standing next to the web. We have to have a spider crawling on it,” said Orme, who approached teacher Trent Whatley to see what he and his design and welding students could invent. Casting Lilian Overbeck as Charlotte added a literal dose of suspense to the production. Overbeck is an aerialist who’s been studying at Twisp’s Aerie Circus Studio. In the play, she uses a fabric sling to dangle in midair and scramble all over the web. Most of the young actors have years of acting experience, and the novices have all risen to the occasion, summoning their characters via special accents and original gestures, said Orme. “Charlotte’s Web,” a production of the Tom Zbyszewski Children’s Theater at The Merc, runs from March 15 to 17 and 21 to 24, with performances at 7 p.m. on Thursdays, Fridays and Saturdays, and at 2 p.m. on Sundays. Tickets at the door are $20 for adults and $5 for youths. Tickets are also available online in advance through the “Buy Tickets” link under “Happening Now” at www.mercplayhouse.org. 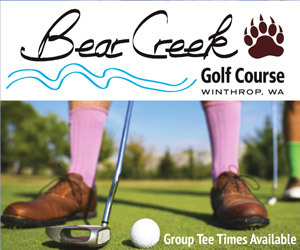 Online adult admission is $18; reserved seats are $20 for adults and $7 for youths. Admission to the March 21 show is by donation.